You're here: Home » Our Ranking And Reviews Of The 10 Best Dry Shampoos For 2019! Our Ranking And Reviews Of The 10 Best Dry Shampoos For 2019! Everyone knows how amazing dry shampoos are for your hair. With hundreds of different brands out there, how can you possibly know which one is right for you? If that’s the boat you’re in, you’re going to be glad you found us! Our dry shampoo experts continually test, rank and review virtually every dry shampoo out there. We’ll tell you which ones we like and which we’d avoid. We’ll tell you what’s in them, how they work, how much they cost and what type of hair they’re best for. 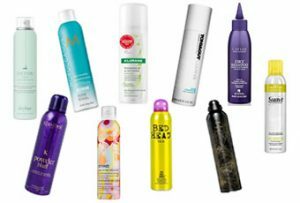 Basically, we’ll tell you everything you need to know to find the best dry shampoo for your particular situation. So if want your hair to look and feel amazing, while keeping it healthy and saving some time getting ready, then you’re going to love this list! 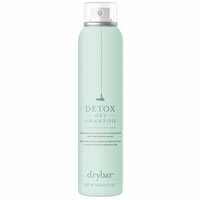 Drybar Detox is our favorite dry shampoo right now and ranks #1 in our ranking of the best dry shampoos. There’s a bunch of things I like about it including the amount of texture and volume it gives to hair, the easy application and the fact that’s it’s paraben and sulfate free. But the main thing I like about Detox is the amazing smell! After applying it, my hair smelled so good and it stayed that way for a pretty long time. 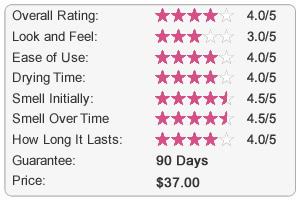 So overall, we gave Drybar Detox 5 out of 5 stars and really believe it’s one of best dry shampoos out there. 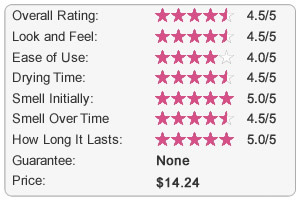 Read the full review right here… or click here to buy it. 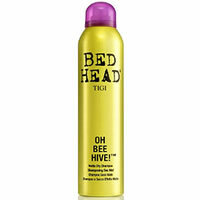 Oh Bee Hive is definitely one of our favorite dry shampoos. A lot of higher end salons use this after color treating and cutting hair to help with styling. We ca definitely see why! It’s very easy to use, smells really good and lasts almost an entire day through. Further, it also adds a good amount of volume and texture to hair, without drying it out. Bottom line, this is one we really like. Read the full review right here… or click here to buy it. 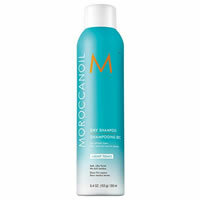 Moroccanoil Dry Shampoo works extremely well making it one of our favorite dry shampoos. It was super easy to apply and it provided really good oil absorption. The volume and texture it gave my hair was also very good. Another thing that’s very important to me when using a dry shampoo, the smell, was amazing with this product. My hair smelled delicious the entire day! Even though it’s fairly expensive, Moraccanoil is one of the better dry shampoos available. 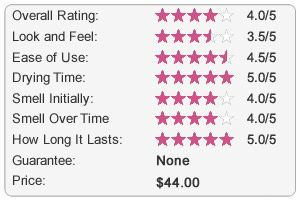 Read the full review right here… or click here to buy it. 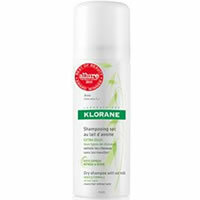 Put simply, Klorane Dry Shampoo with Oat Milk will make your hair look and feel much cleaner. At least, that was our experience after trying it out! It was really easy to apply and use; the pigment settled nicely into my hair and once brushed through, it blended perfectly. The only real downside is the smell, which is tolerable, but not great. Other than that, this is a really good dry shampoo. 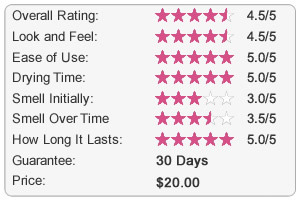 Read the full review right here… or click here to buy it. 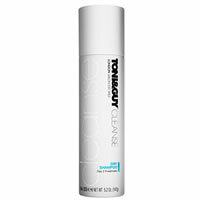 TONI & GUY Cleanse Dry Shampoo worked very well to make my hair feel clean after going a day or two without traditional shampooing. The application was easy with the aerosol can; the only downside was the amount of product that came out at one time– it was a but much for my taste. Once the product was in my hair, it was easy to work into the roots and make my hair much more voluminous and clean. Overall, this is one of the better dry shampoos I’ve used. 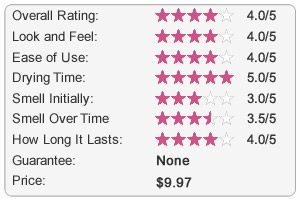 Read the full review right here… or click here to buy it. Oribe Dry Texturizing Spray is a great dry shampoo to reach for when going to an event or a special occasion. This dry shampoo will keep your unwanted oil at bay while adding tons of texture and volume for a desired hair style. Although this dry shampoo does absorb oil, I wouldn’t suggest it for your oiliest day. It’s better for light oil or preventative protection. Despite it’s lofty price tag, Oribe Dry Texturizing Spray is a great dry shampoo that’ll give your hair a lot of texture and volume without having to do much. 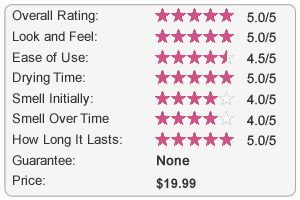 Read the full review right here… or click here to buy it. 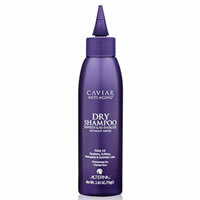 Alterna Caviar Anti-Aging Dry Shampoo is one of the best “powder” dry shampoos I’ve tried. For a powder product, this dry shampoo was very easy to apply and blend into my hair. I really like the way this feels in my hair and the way it makes my hair look. It was velvety and matte, but not drying or “cake-y” at all. Overall, I really like this dry shampoo and the way it makes my hair look and feel. Read the full review right here… or click here to buy it. 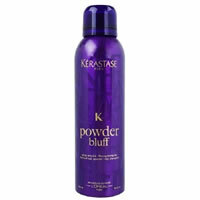 Kerastase Powder Bluff Dry Shampoo works well to clean and conceal oil on unwashed hair. This dry shampoo is different from most others I’ve tried, but I did end up really liking it! I was thrown off when I first applied the product into my hair because it felt much more like a hair spray than a dry shampoo. And while it didn’t add a ton or volume or texture, it did give my hair a “just washed” feeling and absorbed A LOT of oil. So all-in-all, I like this one as a way to keep my hair fresh and clean. 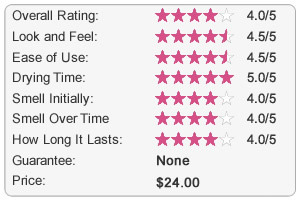 Read the full review right here… or click here to buy it. Amika Perk Up Dry Shampoo works very well to make hair look and feel clean. After application, it was easy to work into my roots and brush out the excess product. It left the perfect amount of product in my hair to help it look clean and fresh. The best part about this dry shampoo is the smell; it smells so good and stays in your hair all day long. Read the full review right here… or click here to buy it. 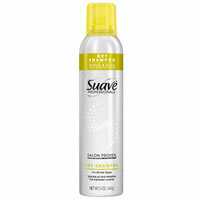 Suave Dry Shampoo Spray was one of the better “drugstore” dry shampoos I’ve tried. It gave me great added texture and volume and even kind of helped with styling my hair. Two of the downsides to this product were the very strong smell that lasted all day and that it made my hair look and feel kind of dry. Besides those minor negatives, I really like Suave Dry Shampoo Spray and how affordable it is. 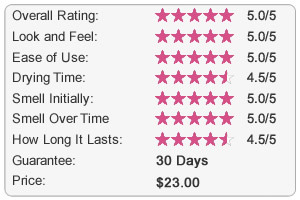 Read the full review right here… or click here to buy it.